Come enjoy this immaculate waterfront getaway on the crystal emerald green waters of Lake Keowee. Spacious, open floor plan with several designer features including a gas log fireplace. Located on the waterfront tier in a maintenance free community, this two bedroom, two bath lake retreat is truly a vacationers delight. Enjoy lake views all year round while you gaze through the large windows from the living and seating area of this comfortable abode. This comfortably decorated cottage is partially furnished and ready for immediate occupancy. There is even a loft perfect for little fishermen and extra guests at sleep or play. Special features unique to this cottage include a flagstone seating area at the entrance, converted porch now made part of the living room for added space, golf cart pad and immediate access to the community walking trail just outside your door. *Master Bedroom to be painted April 2019* Community amenities include a fabulous lakefront lodge and swimming pool, marina, beach and walking trails. HOA includes landscaping maintenance,private gated community, water, sewer, trash service, pool, clubhouse, walking trails, fitness center and more. 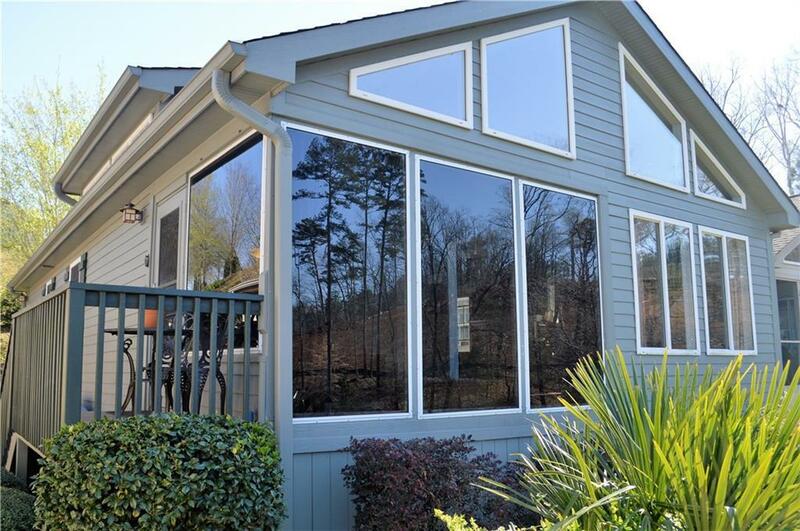 Modified tax structure add to the savings of this remarkable Keowee waterfront buy.